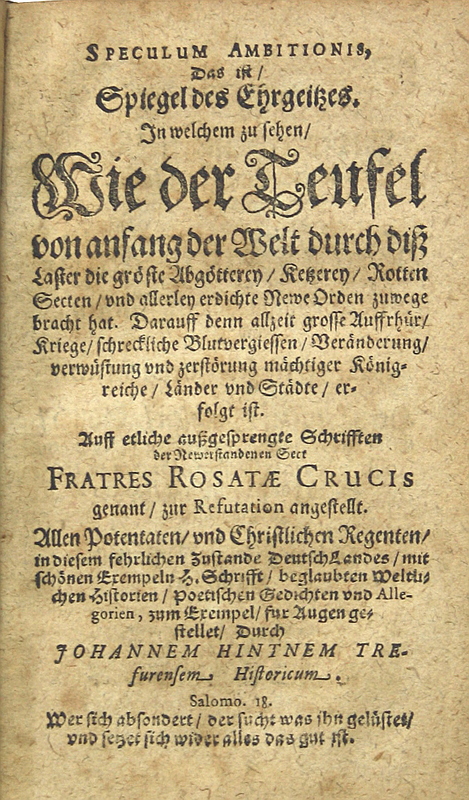 1) SCHWEIGHART, Theophilus (Daniel Mögling) – Prodomus Rhodo-Stauroticus. 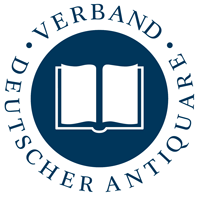 Das ist: Vortrab und Entdeckung/ derer Hocherleuchten/ Gottseeligen/ und weitberühmten Brüderschafft vom Rosen Creutz/ Philosophischen Parergi/ sonsten Lapis Philosophorum genandt: Wie derselbe am füglichsten kan erlangt/ und ins Werck gerichtet werden. Sampt Warhafftem Bericht vom Spiritu Universi, und Harmonia Mundi. Alles in gewisse Canones getheilt, und mit Figuren gezieret, und beschrieben durch F.C.R.N.G.I.A. (Prague or Heidelberg? ), 1620. (14), 78 pp., 1 blank leaf. 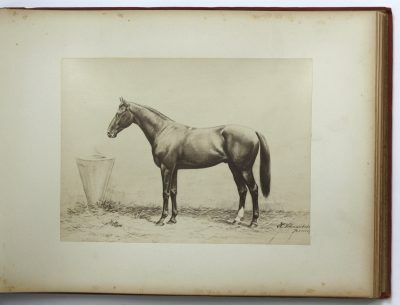 With 14 large text engravings. A few small worm holes, some browning. 2) HINTNER, Johann – Speculum Ambitionis, Das ist/ Spiegel des Ehrgeitzes : In welchem zu sehen/ Wie der Teufel von anfang der Welt durch diß Laster die gröste Abgötterey/ Ketzerey/ Rotten Secten/ und allerley erdichte Newe Orden zuwege bracht hat … Auff etliche außgesprengte Schrifften der Newerstandenen Sect Fratres Rosatae Crucis genant/ zur Refutation angestellt. No place, (1620). (96 pp.) Some browning. 3) ANONYMOUS – Gloria Mundi, Sonsten Paradeiß Taffel: Das ist/ Beschreibung der Uralten Wissenschafft : welche Adam von Gott selbst erlernet/ Noe/ Abraham/ und Salomon/ als eine der Höchsten Gaben Gottes gebraucht/ alle Weisen zu jeder Zeit vor den Schatz der gantzen Welt gehalten/ und den Gottsfürchtigen allein nachgelassen haben/ Nemlichen De Lapide Philosophico: Authore Anonymo. Frankfurt am Main, Lucas Jennis, 1620. (24), 232 pp. Some browning. 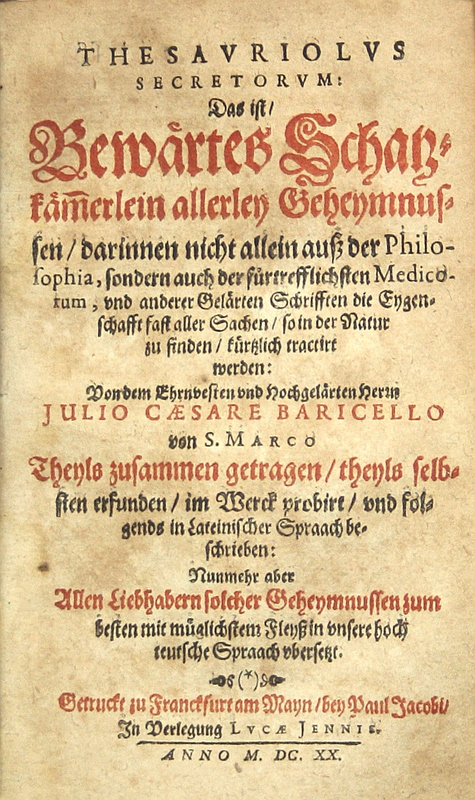 4) BARICELLI, Giulio Cesare – Thesauriolus Secretorum: Das ist/ Bewärtes Schatzkäm[m]erlein allerley Geheymnussen : darinnen nicht allein auß der Philosophia, sondern auch der fürtrefflichsten Medicorum, und anderer Gelärten Schrifften die Eygenschafft fast aller Sachen/ so in der Natur zu finden/ kürtzlich tractirt werden / Von … Julio Caesare Baricello von S. Marco … in Lateinischer Spraach beschrieben: Nunmehr aber … in unsere hoch teutsche Spraach ubersetzt. Frankfurt am Main, Lucas Jennis, 1620. (48), 355 (of 359; i.e. 361), (38) pp. (lacking pp. 139-142). Some browning, a few small worm traces. 1) First and only edition. 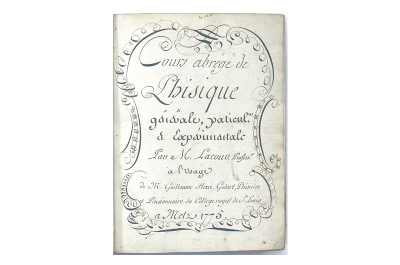 This important pamphlet, formerly attributed to Johann Grasshoff, is of great rarity. 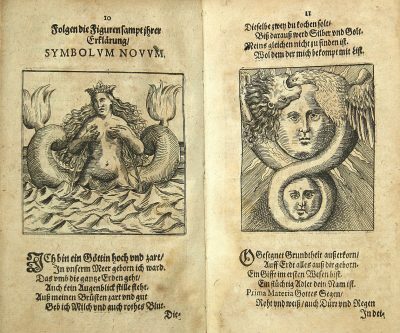 The important 14 half-page text engravings symbolize different alchemical processes and their effects and are partly characterized in verse. Daniel Mögling was born 1596 in Böblingen near Stuttgart. 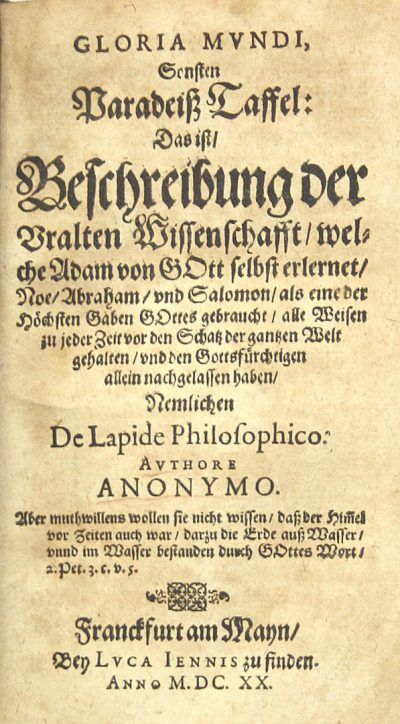 In 1611 he studied philosophy in Tübingen, and in 1618 medicine in Altdorf. 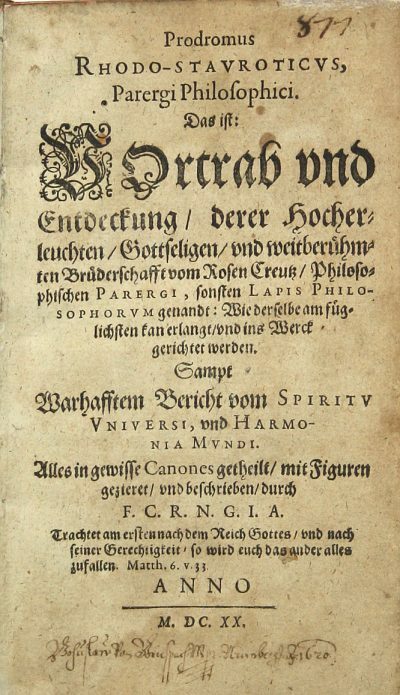 In 1621 he completes his doctorate at the University of Tübingen. In the same year he became the court doctor, astonomer and mathematician of the landgrave of Hessen-Butzbach. He died in 1635 in Butzbach. 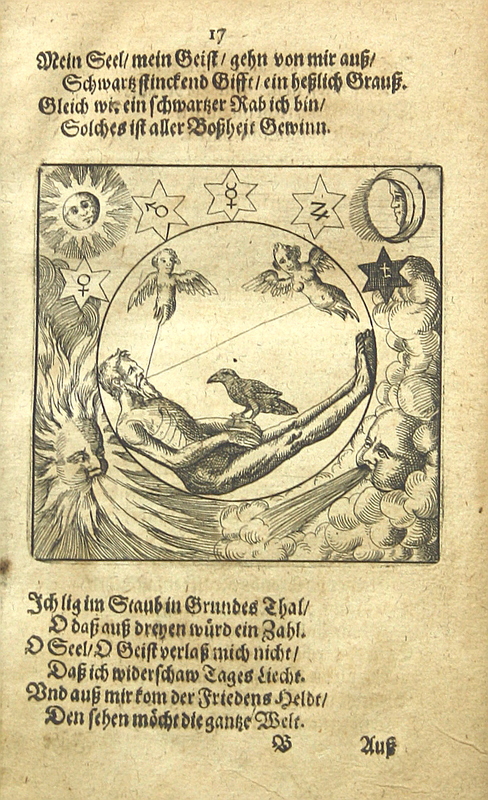 Mögling wrote several Rosicrucian pamphlets i.a. 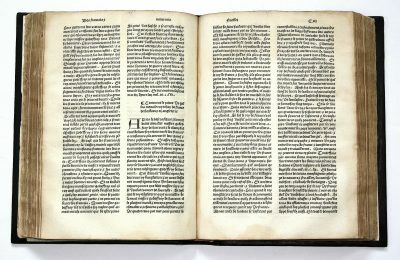 under the pseudonyms Theophilus Schweighardt and Florentinus de Valentia. 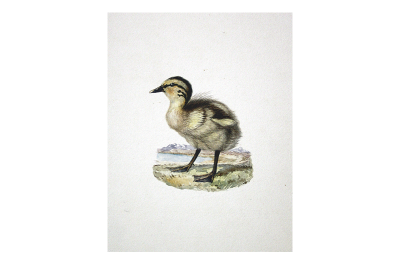 In the present pamphlet Mögling i.a. advised the reader to seek out philosophers who have themselves built perpetual motions, since such devices showed not only the creation of the world, but the motion of heaven, the elements, and the nature and property of all things. In 1625 he published a book on Perpetuum Mobile in which he claimed to have invented his own perpetual that could be used to build the macrocosm described in the Rosicrucian Fama. Mögling also translated Philip Sidney’s novel Arcadia into German language. 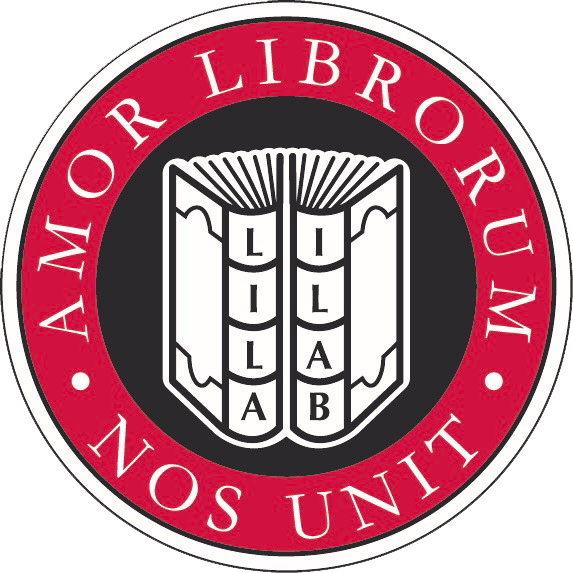 C.G.Jung owned a copy of the present pamphlet as well as Umberto Eco, who bought it from us. Brüning 1340; VD17 39:116543Q; Gardner 271 (under Grashof); Ferguson II, 353; Wolfstieg 42401; Duveen 540; Kloss 2587; Kopp II, 7. 2) First and only edition. 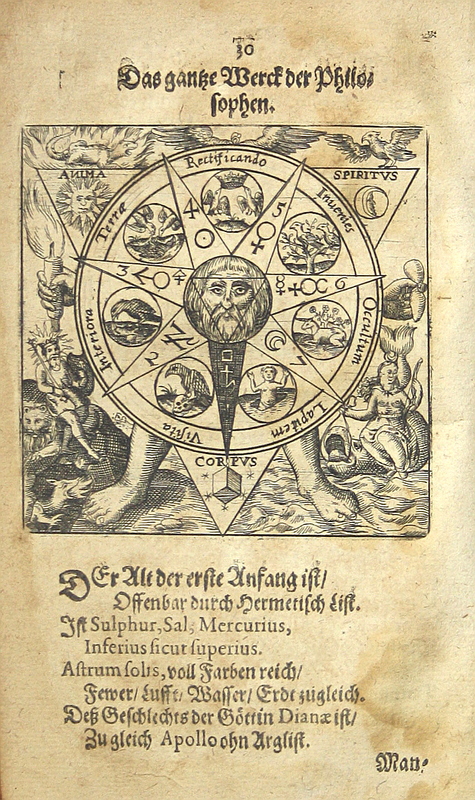 This is a very rare refutation of Rosicrucian doctrines. One of Hinter’s principal accusations is the Rosicrucian view of the possibility of salvation in this world, which was one of the principal points in the theological dispute with the Rosicrucians. 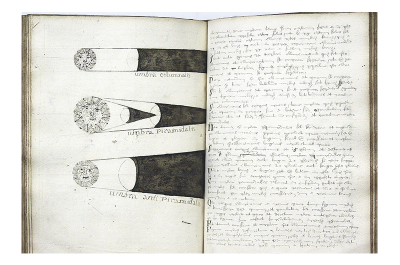 Nothing is known about the life of Johann Hintner. 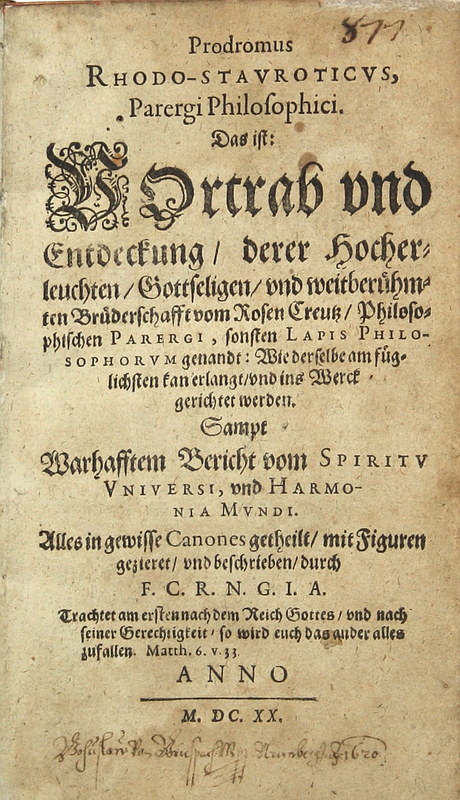 He only wrote one other pamphlet in 1616 describing the war between Frederick Ulrich, Duke of Brunswick-Lüneburg and the city Braunschweig in 1615. 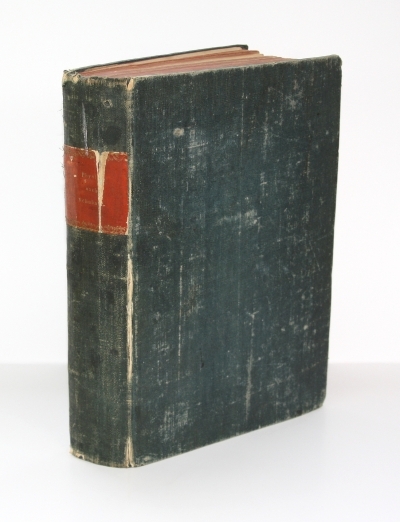 3) The extremely rare first edition – the third known copy. This is a famous and important text. 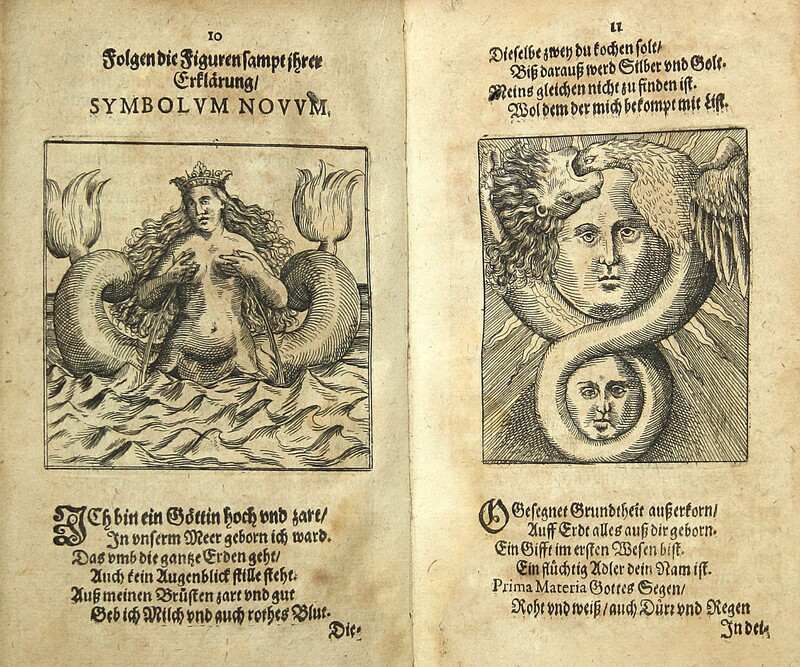 In 1625 the publisher Jennis included a latin version in his famous anthology Museum Hermeticum. 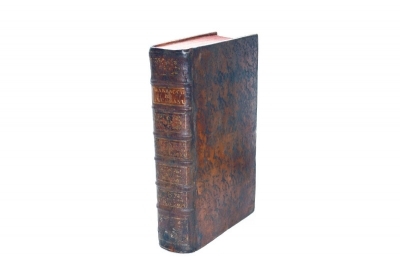 The text was reprinted several times even until 1780. 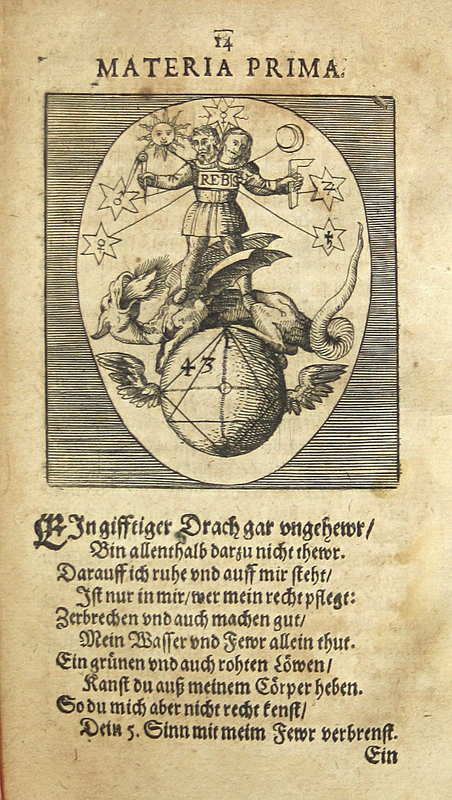 Different scholars referring the authorship to Robert Vallensis (Duval), Johann von Sternberg or Georg Baresch, a correspondent of Anthanasius Kircher. 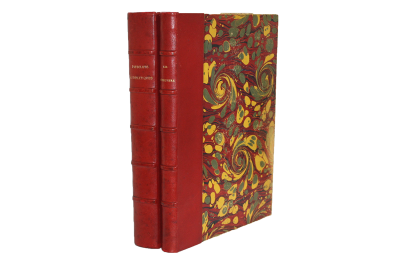 The two other copies are in the Herzog-August library in Wolfenbüttel and in the Harold Jantz collection, Yale University. VD17 23:703167H; Brüning 1329; Ferguson I, 331 (note). 4) First German edition. The first edition was published in 1617 in Latin. Baricello, born in San Marco about 1580, was an Italian physician and doctor. 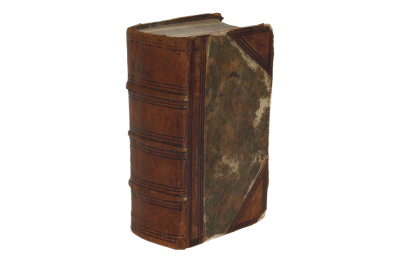 The present book contains over 450 medical, chemical, physical and supersticious receipts, tricks and tales. 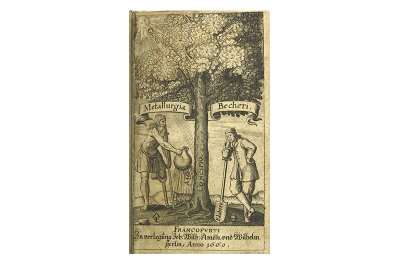 Baricello also wrote a book about butter and milk. 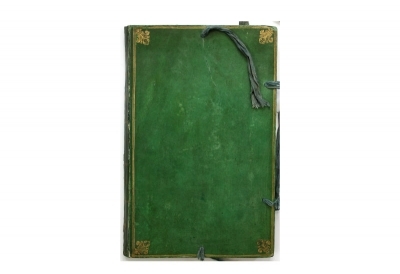 Provenience: The title of 1) has a ownership inscription by Bohuslav Griespek of Griespach (? 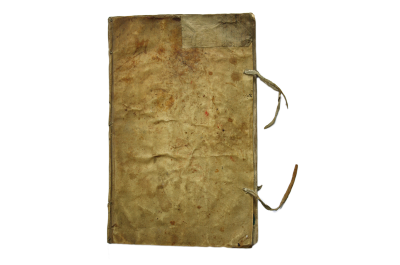 – 1623) written at Nuremberg and dated 1620. Bohuslav was a grandson of Florian Griespek of Griespach (1504 Innsbruck -1588 Nelahozeves) a Bohemian nobleman and a high royal functionary under Ferdinand I. 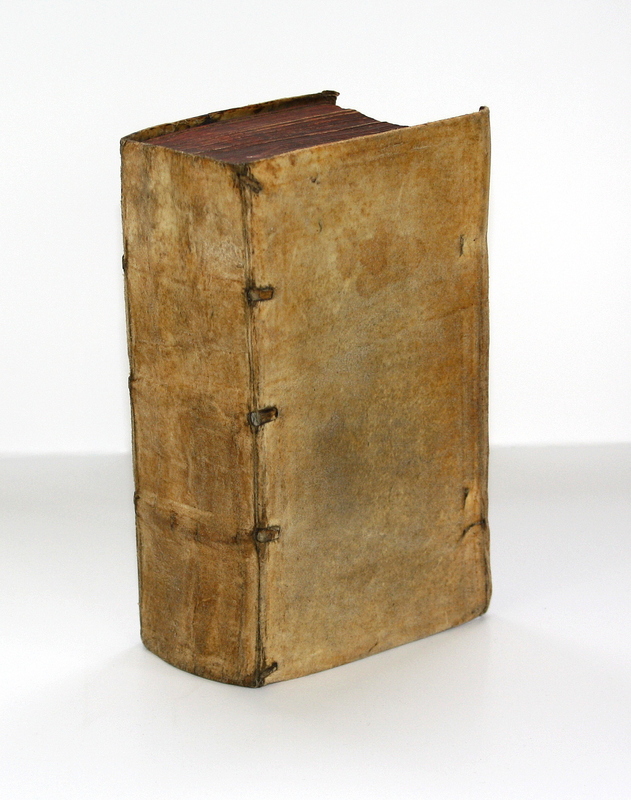 The book is bound in its first binding; full vellum; rubbed and some stained.